The object in the middle of this image, sitting alone within a star-studded cosmos, is a galaxy known as ESO 486-21. ESO 486-21 is a spiral galaxy — albeit with a somewhat irregular and ill-defined structure — located some 30 million light-years from Earth. 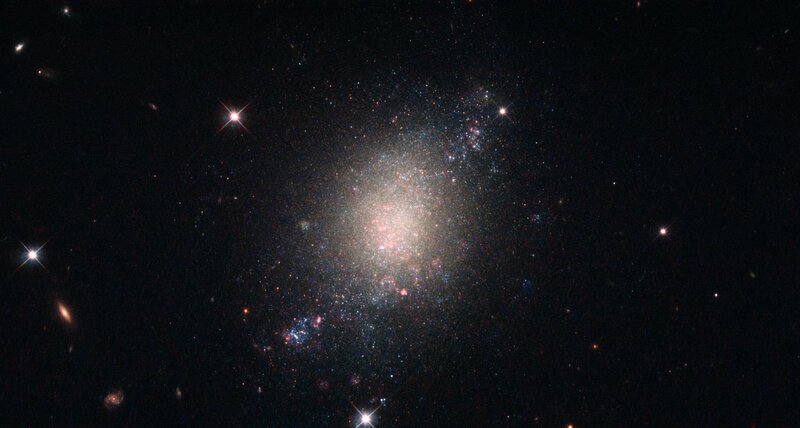 The NASA/ESA Hubble Space Telescope observed this object while performing a survey — the Legacy ExtraGalactic UV Survey (LEGUS) — of 50 nearby star-forming galaxies. The LEGUS sample was selected to cover a diverse range of galactic morphologies, star formation rates, galaxy masses, and more. Astronomers use such data to understand how stars form and evolve within clusters, and how these processes affect both their home galaxy and the wider Universe. ESO 486-21 is an ideal candidate for inclusion in such a survey as it is known to be in the process of forming new stars, which are created when large clouds of gas and dust (seen here in pink) within the galaxy crumple inwards upon themselves. 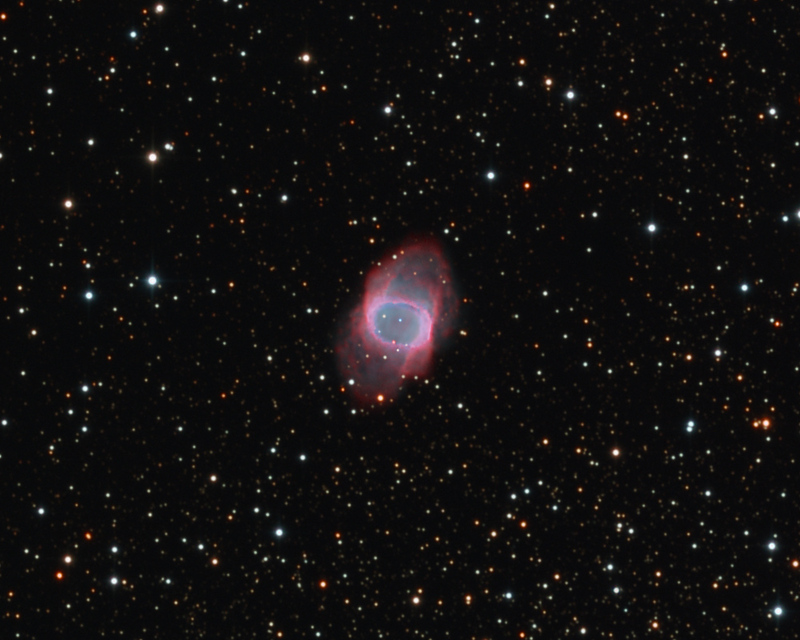 LEGUS made use of Hubble’s Wide Field Camera 3 (WFC3) and Advanced Camera for Surveys (ACS). The WFC3 obtained detailed observations of the target objects while the ACS obtained what are known as parallel fields — instead of leaving ACS idle, it was instead trained on a small patch of sky just offset from the target field itself, allowing it to gather additional valuable information while the primary target was being observed by WFC3. Parallel fields played an important role in Hubble’s Frontier Fields programme, which used the magnifying power of large galaxy clusters (via a phenomenon known as gravitational lensing) to explore objects in the distant Universe. The region between Mars and Jupiter is teeming with rocky worlds called asteroids. This asteroid belt is estimated to contain millions of small rocky bodies, and between 1.1 and 1.9 million larger ones spanning over one kilometre across. Small fragments of these bodies often fall to Earth as meteorites. Interestingly, 34% of all meteorites found on Earth are of one particular type: H-chondrites. These are thought to have originated from a common parent body — and one potential suspect is the asteroid 6 Hebe, shown here. 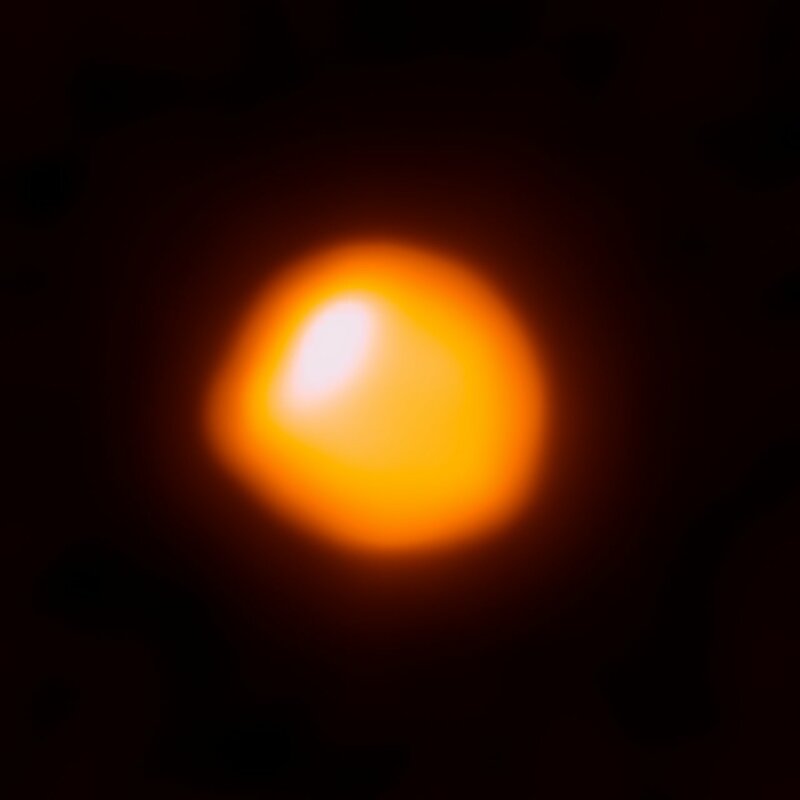 Approximately 186 kilometres in diameter and named for the Greek goddess of youth, 6 Hebe was the sixth asteroid ever to be discovered. 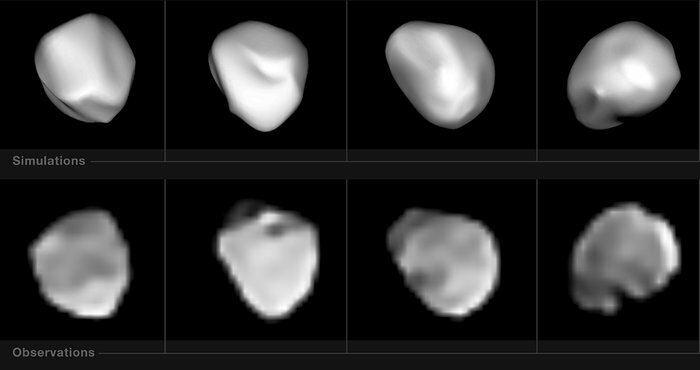 These images were taken during a study of the mini-world using the SPHERE instrument on ESO’s Very Large Telescope, which aimed to test the idea that 6 Hebe is the source of H-chondrites. Astronomers modelled the spin and 3D shape of 6 Hebe as reconstructed from the observations, and used their 3D model to determine the volume of the largest depression on 6 Hebe — likely an impact crater from a collision that could have created numerous daughter meteorites. However, the volume of the depression is five times smaller than the total volume of nearby asteroid families with H-chondrite composition, which suggests that 6 Hebe is not the most likely source of H-chondrites after all. HEIC: What’s in a name? 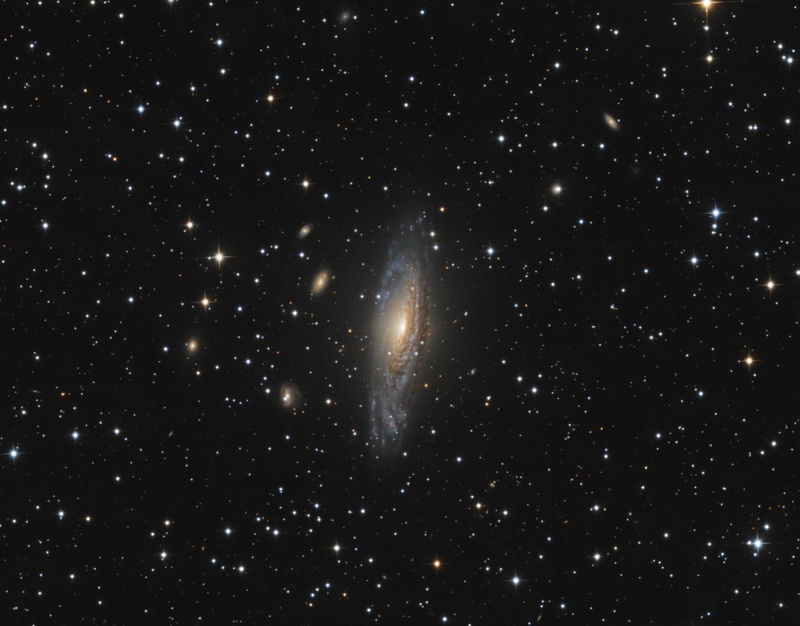 Not all galaxies have the luxury of possessing a simple moniker or quirky nickname. The subject of this NASA/ESA Hubble Space Telescope image was one of the unlucky ones, and goes by the rather unpoetic name of 2XMM J143450.5+033843. Such a name may seem like a random jumble of numbers and letters, but like all galactic epithets it has a distinct meaning. 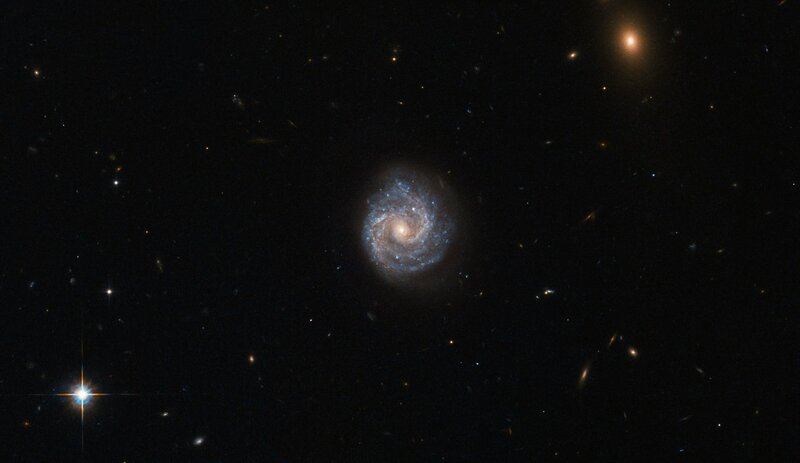 This galaxy, for example, was detected and observed as part of the second X-ray sky survey performed by ESA’s XMM-Newton Observatory. Its celestial coordinates form the rest of the bulky name, following the “J”: a right ascension value of 14h 34m 50.5s (this can be likened to terrestrial longitude), and a declination of +03d 38m 43s (this can be likened to terrestrial latitude). The other fuzzy object in the frame was named in the same way — it is a bright galaxy named 2XMM J143448.3+033749. 2XMM J143450.5+033843 lies nearly 400 million light-years away from Earth. It is a Seyfert galaxy that is dominated by something known as an Active Galactic Nucleus — its core is thought to contain a supermassive black hole that is emitting huge amounts of radiation, pouring energetic X-rays out into the Universe. Last edited by KuriousGeorge on Mon Jun 26, 2017 3:14 pm, edited 1 time in total. M92 is a globular cluster of stars in the northern constellation of Hercules. M92 is at a distance of about 26,700 light-years away from Earth. Among the Milky Way population of globular clusters, M92 is among the brighter clusters in terms of absolute magnitude. It is also one of the oldest clusters. Re: HEIC: What’s in a name? bystander wrote: What’s in a name? I don't like coordinate based names for things, they're really hard to remember.